Dubai is the commercial capital of United Arab Emirates. This “city of gold” provides vast business opportunities and innovative commercial modules for enterprises from around the world. International exposure and an investor-friendly government are just two of the factors that motivate entrepreneurs to start a business in Dubai. Startups in Dubai also get perks on investments and tax advantages when compared to other countries. 1. You will need to decide your business activity beforehand When you decide to do business in Dubai, you need to know that there are certain limitations. Not all business activities are allowed in the UAE! Various consents are required before you start your business in Dubai. Thus, the first thing to do business is to decide whether your business fits in as per the Dubai standards. 2. 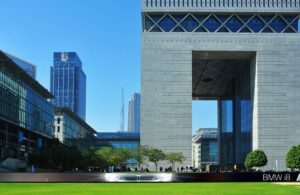 You need to pick the right jurisdiction Business jurisdictions in Dubai are segregated zonally to increase the competence as well as productivity of a business. Dubai offers mainland business setups, freezone company formations, and offshore business establishments. Opting for the right jurisdiction depends on the business activity and the nature of the business you would like to conduct. 4. You need to partner with a reliable UAE national To start a business in the Dubai mainland, it is a mandate to partner with a UAE national. The challenge is to find a trustworthy and reliable UAE business partner. It is stated that the UAE local partner will hold 51% of partnership. In terms of freezone, a company would require a local service agent, who would work for a nominal fee. It is best to get into an agreement with a silent partner- this will assure security and complete control on your business. 5. Your trade name needs to be registered with the DED You need to give a name to your company as per the standards mentioned by the Department of Economic Development (DED). The trade name acts as an identity of your business, and thus DED emphasizes on associating the name as per the license type. It takes around three days to register a trade name, and it is valid for a period of six months. 6. Your business activity needs to be approved In Dubai, only a few commercial activities are not permissible, some activities have restrictions, while others are completely prohibited! According to the Law No. 13 of 2011, the Dubai DED is the accountable body to decide, regulate, classify, permit and license all the economic activities. However, this is not applied to freezones and offshore business setups. 7. You may need external approvals for your business in Dubai DED dispenses trade license to businesses and deals with investors. But, at times you may require external approvals to start your business. Generally, these permissions are acquired by the non-governmental & semi-governmental bodies. 8. You need to rent a business premise Having a physical existence is obligatory for every business in Dubai. The tenancy agreement, Real Estate Regulation Authority (RERA) documents, and EJARI needs to be submitted, following which the initial approval is granted by the DED. 9. You need to get the initial approval from DED The DED grants the initial approval on submission of all the required documents. The initial approval is also accreditation from the DED to start your business. You can start your business at this stage and continue with the process of acquiring your trade license. 10. You need to draft the MOA/LSA for your business Drafting the Memorandum of Association (MOA) or the Local Service Agent (LSA) agreement is yet another important task. The MOA specifies the share of limitations and liberty every partner has within the company, while the LSA describes the role of the agent and fulfils the compliance that will be performed. MOA/LSA are legal documents and should be drafted with the help of a legal advisor. They also need to be translated in Arabic. 11. You need to follow all of the company registration and business license procedures In Dubai, company registration and business licensing are a parallel process. Once the company is registered by DED, the business license will be processed and could be collected duly. Business licenses are provided mainly depending on the nature of the business activity and the jurisdiction of the business. The most prominent licenses for business setup in Dubai are: commercial license, industrial license, and professional license. It takes around one week or more to get the trade license from the time you receive your initial approval. This mainly depends on the business activity and the external documentation. Here is the general list of documents and certifications that are required for business setup in Dubai. 12. You need to collect your business license to start your activity A payment voucher or transaction number will be provided by the DED on submission of the all the listed documents. The final payment needs to be made to collect the business trade license. Once you collect your trade license, you become a full-fledged business entity. Based on the preceding details, it is evident that Dubai company registration is an extensive process! Nevertheless, you can make it quick and cost-effective by appointing a business setup consultant. With a knowledgeable business consultant, you won’t waste your money on unwanted documents. Also, as they are well-versed with the procedure, company formation can be instant. So, all the best with your business! By Sandhya Soans, Senior Content Writer, Shuraa.com, the leading business setup service provider. For more details on Shuraa’s services, check out Shuraa.com.